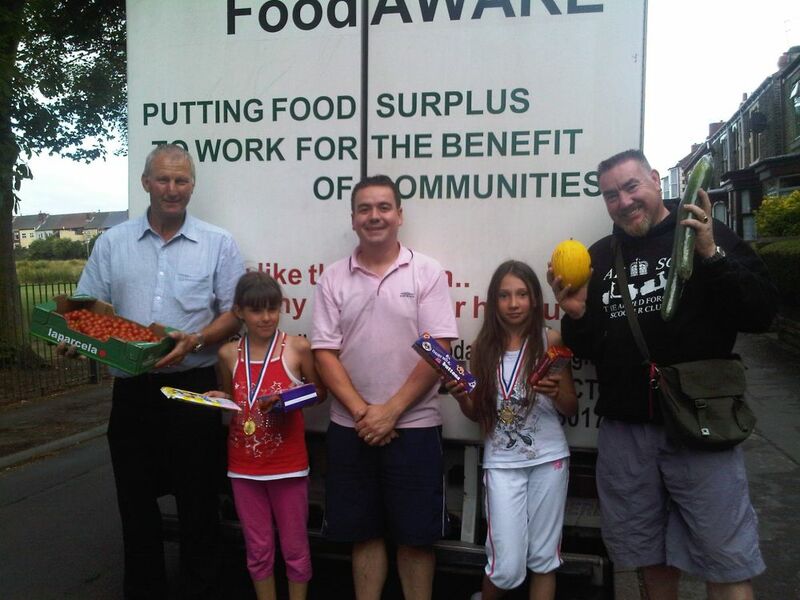 Mexborough Foodbank - Successfully Launched! 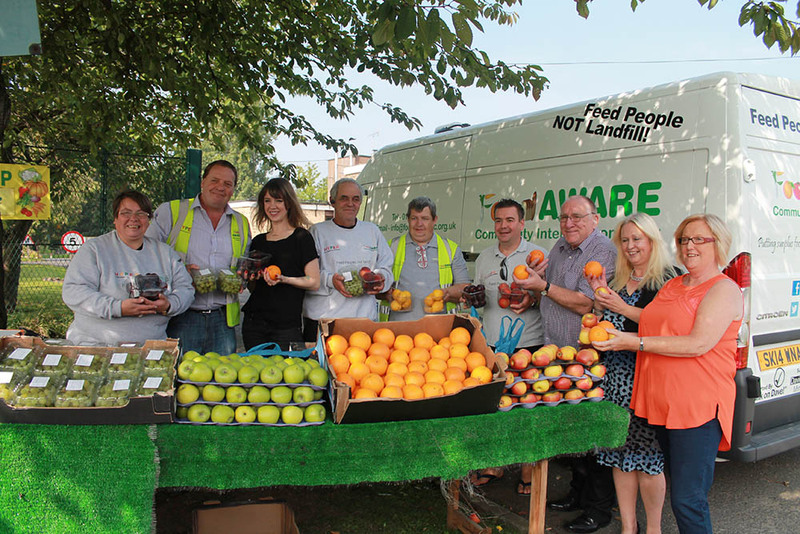 Mexborough Foodbank – Successfully Launched! 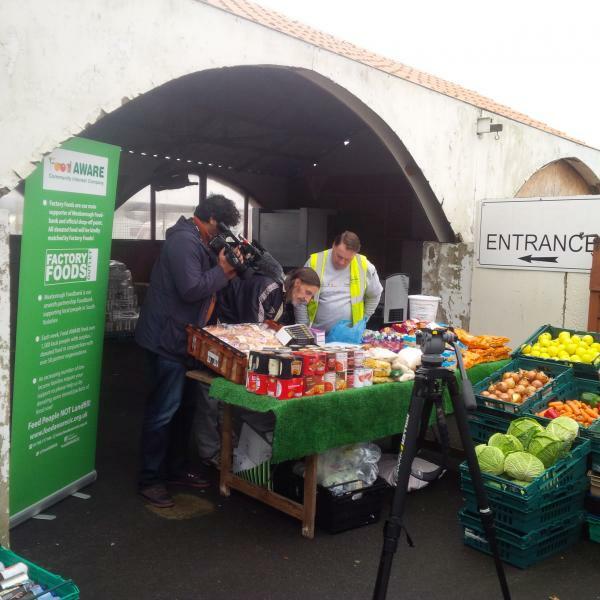 The launch of ‘Mexborough Foodbank’ by Food AWARE on Friday 28th November 2014 went very well. We were filmed by BBC Look North (on air later next week) + on air with BBC Radio Sheffield + photographers attended from local newspapers South Yorkshire Times and Dearne Valley Weekender. Not a very proud thing to be having to provide in Mexborough but we are proud that our committed Food AWARE team are able to help people less fortunate in Mexborough in challenging times. Huge thanks to our partners @FactoryFoods who are matching every food donation. Please donate tins of food e.g. beans, soup, tuna etc & packets e.g. cereal, tea bags, biscuits etc to help those less fortunate at Christmas time in Mexborough. You can donate at – Factory Foods on Pastures Rd, Wetherspoons/Old Market Hall and Mexborough Children’s Centre. 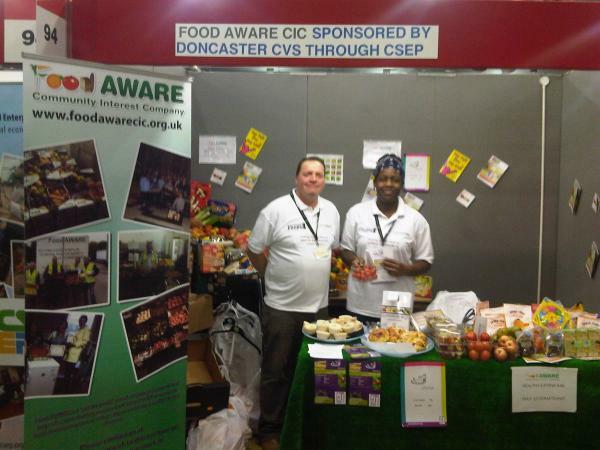 Please contact Food AWARE (email – info@foodawarecic.org.uk) if you are a business and would also like to set-up a donation point. Many thanks and a very Merry Christmas! PreviousHalifax Bank in Rotherham Donates 60 Advent Calendars to our Maltby Foodbank…….+ More!! Happy New Year……….here’s to a Healthy and Prosperous 2015! 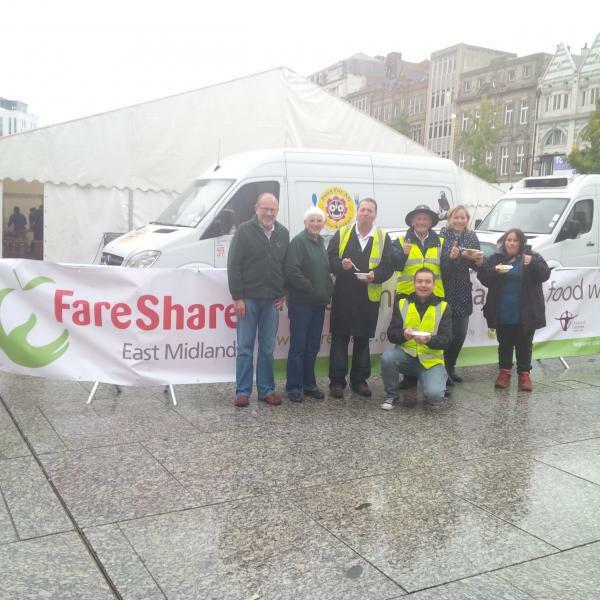 Food AWARE helps ‘Feed 5,000’ in Nottingham city centre!